Whether you’re at work and forgot some file on your home computer, want to play some music on a train, or just want to move some files between your computers, accessing your files from anywhere is a life saver. What we are going to do is download and install Hamachi, setup a network name and password and then join the network from another computer. Still think it’s hard? Here’s a detailed how-to, but first let’s get to know Hamachi. Hamachi is a VPN client. 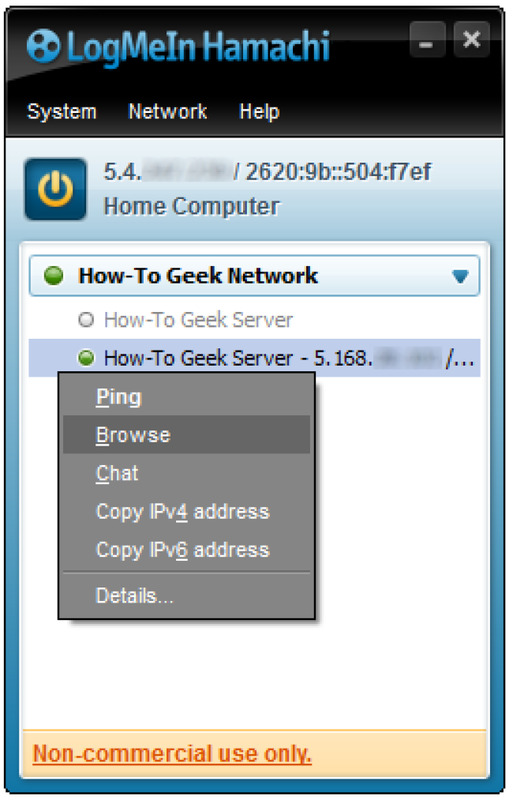 It creates a Virtual Private Network over a public network like the Internet. When this client runs, it implements a virtual network adapter, and you’re given an additional IP address that identifies you on any virtual network you join. You then create a virtual network by name, assigning it a password. 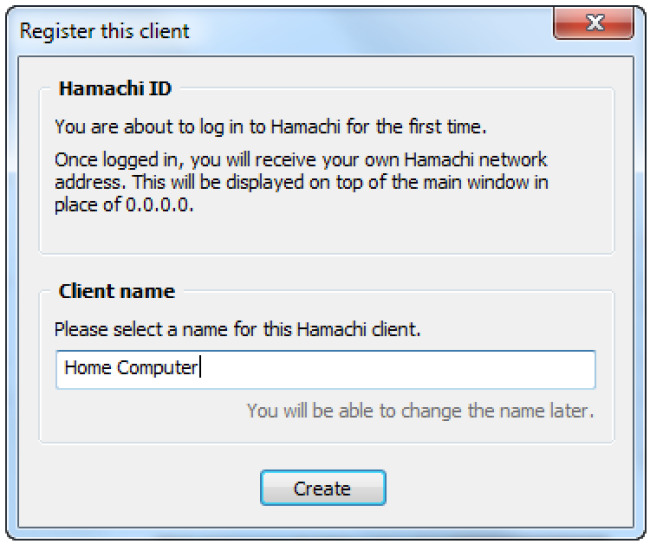 Now anyone running the Hamachi client can join your network by connecting to it by name, and supplying the password. Note: LogMeIn Hamachi is not a remote control application so you don’t get control of the computers, you just access the network shares files. We’ll start by downloading LogMeIn Hamachi from the link at the end of the article. Get it installed then fire it up. Once you start it, it will tell you to click the Power On button so press it. When the dialog pops-up enter a name for this computer then click create. 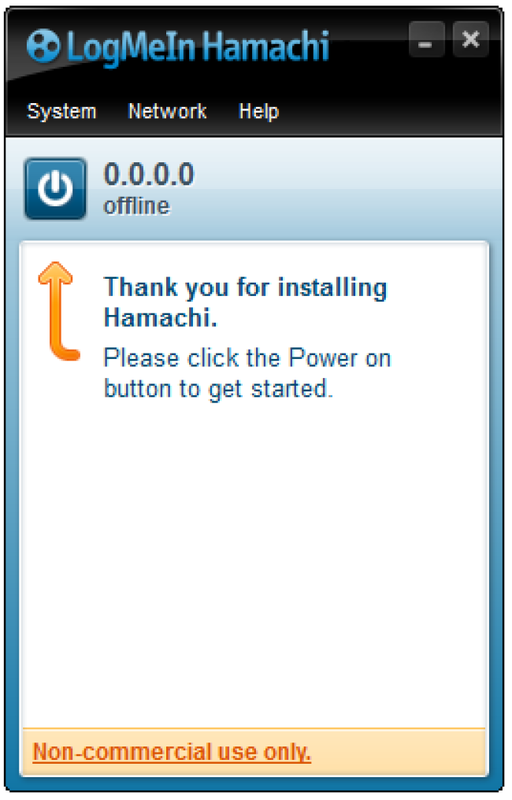 Now Hamachi is up and running but we need a network to connect all the computers. Click on Create a new network to create one. 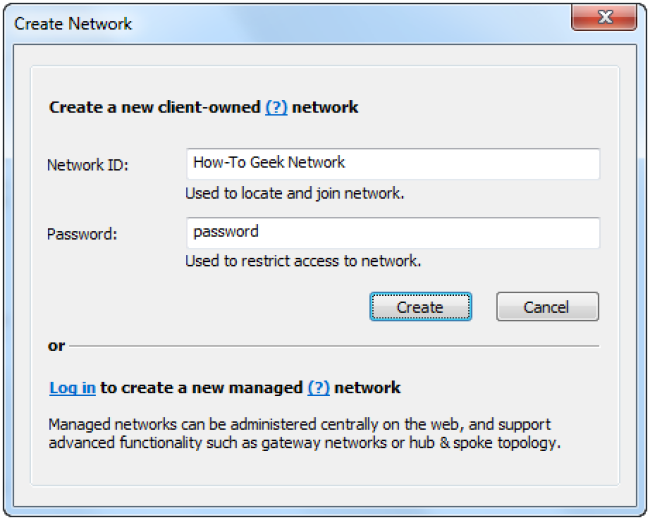 After entering the Network ID (name) and the password click create and the network will be created immediately. The network is created but there is only one computer in the network. 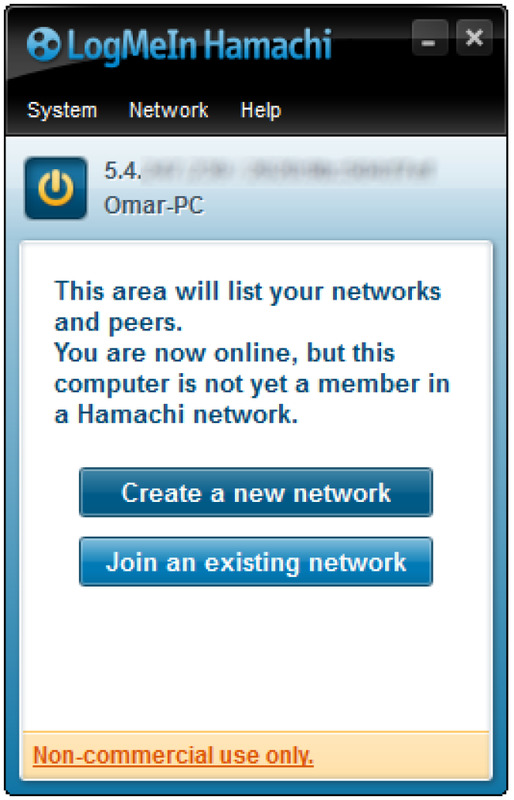 To get other computers in the same network you’ll have to install Hamachi on them and set it up just like you did on the first computer but instead of creating a new network, click join an existing network and enter the network ID and the password. 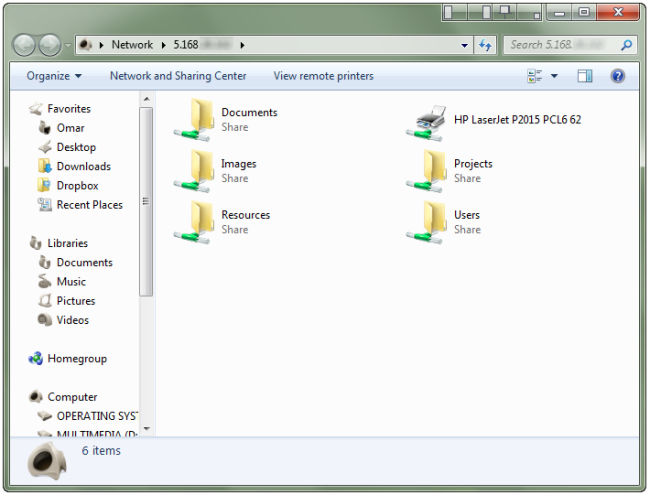 These are the files, folders and printers that are shared on the target computer. LogMeIn Hamachi has two great features. First, all connection are encrypted so you are safe. Second, it is transparent, meaning all technical stuff are done behind the scenes so no IP address, Gateway Address or DNS is required to be set. Awesome!